Creative Wiry Words are Here! Creative’s Wiry Words are here! Such beautiful, scripty sentiments from a Craftstash exclusive brand. There are 3 classy designs to choose from to add to your cards and projects. And there’s one for every occasion! Our favourite thing about these sentiment stamps is that they’re W I D E! They span across your whole card creating a striking element quickly. Here we did a little repeated stamping with our Tim Holtz Travel-sized stamp platform. You just place your stamp in place and move your paper at measured increments for a perfectly spaced design. Easy peasy! 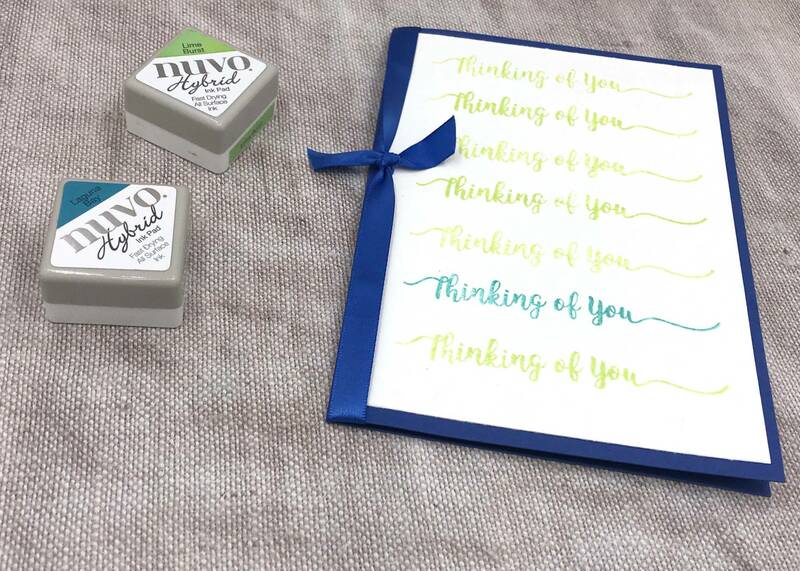 We also used some Nuvo Hybrid Inks which come in a fun range of colours to try with your Creative Wiry Words. Watch this quick video to be inspired to give it a try!